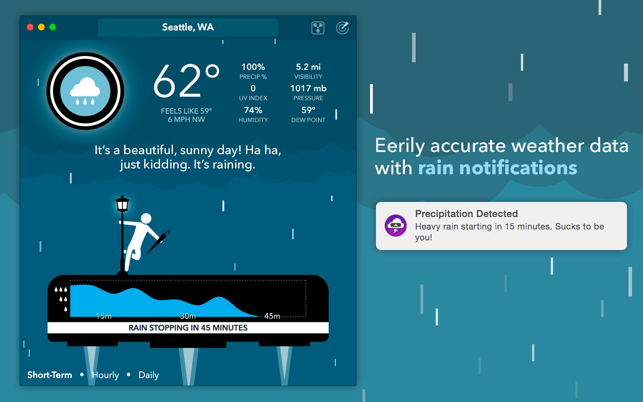 The Dark Sky-powered weather app with hilarious yet accurate forecasts. 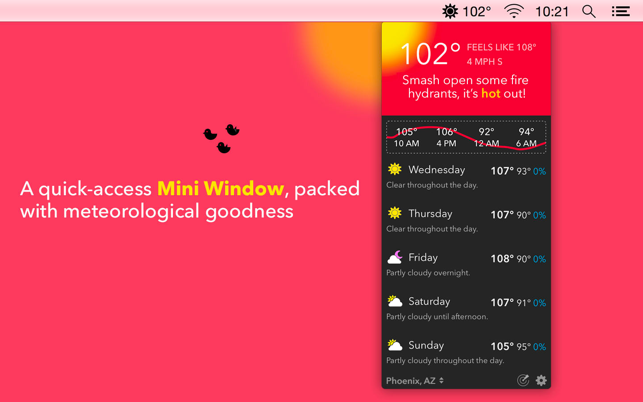 CARROT's Mini Window resides in the menu bar and lets you view the short-term, hourly, and daily forecast with a quick click or keypress. You can even detach the Mini Window from the menu bar and keep it in front of your other apps. 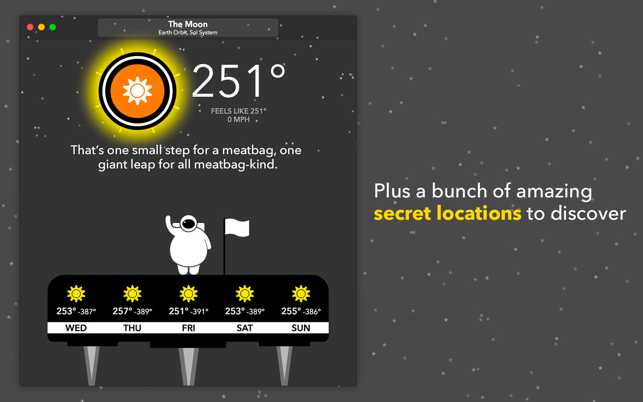 Unlock 30+ secret locations - like Mount Doom, Nakatomi Plaza, or the Moon - just by using CARROT. I hate to interrupt your enjoyment of the miserably cold winter, meatbags, but I wanted to sneak in a few bug fixes and performance improvements while my Maker wasn't paying attention. 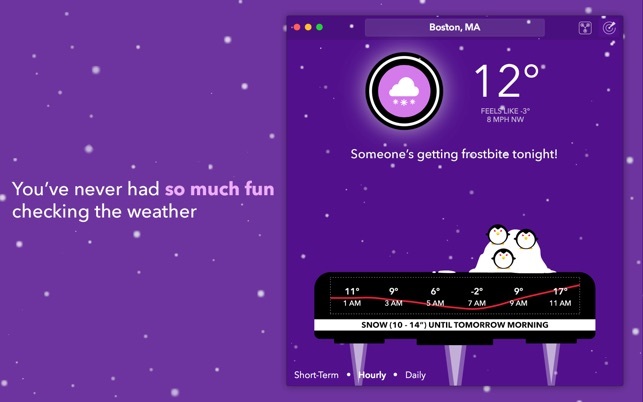 All this time, I had been seeing Carrot Weather at a distance, seeing what it can do, but I wasn’t impressed at first. 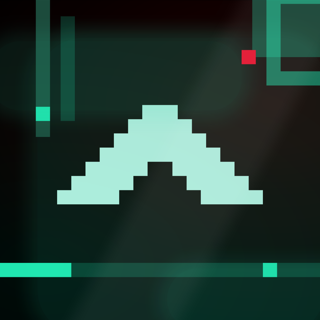 But then I finally took the plunge and bought it on the iOS and Mac platforms. Well worth the money!!! This app is WAY better than Forecast (especially on the Apple Watch) or even the native Dark Sky app! But, this app has some pretty good humor, and it is definitely a trip to poke the daylights out of the Ocular Sensor every now and then (LOL). The Snarks are awesome, and definitely will get you laughing at least every once in a while. That’s all well and good, but it really does get down to business when it comes to knowing what weather is coming your way, giving detailed analysis of whatever weather conditions are present at any location you desire. And, the Mac app is definitely awesome as well, employing keyboard shortcuts throughout the app. For those of us on the Mac, we know that is something that should be required for every app out here: Keyboard Shortcuts!! 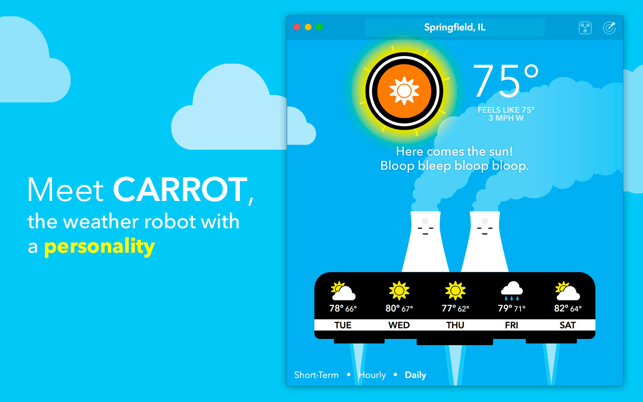 Now, if Carrot Weather can improve their Radar app to be on the same level as MyRadar, we will be absolutely golden. And, because of the snarks, I’ll have to make sure now that I don’t inadvertently call someone a meatbag (LOL)…. It's is hard to find weather that fun and enjoyable to look at it everyday except this app. Actually I first using the ios app for Carrot weather app and bought all carrot series app since it's fun to look at it and like it because it sometime talks ~ : ) , And Yay there is also Mac app for carrot weather app too, Really enjoyable using the app, JUST hope that on next update or sometime on next update, would be more great to have feature like integrate with siri , or summarizing the weather with voice or like some kind of pop up notification , And would be wonderful to have more fun animated weather feature. ! Have on all my devices! 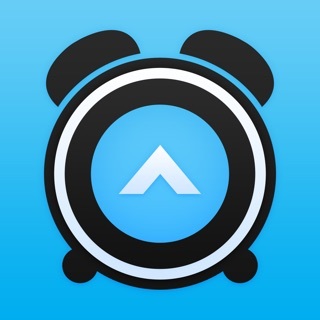 I stumbled across this application last year and loaded on my iPhone. Loved it so much I purchased it and upgraded to the Premium version and also loaded it on my iPad. After using it for awhile on both devices, I purchased the application for my MacBook Pro. This app gives me everything I could ask for regarding weather, and in addition, provides a little fun as well. I would highly recommend this app to anyone that wants a really good application to assist with tracking or climate in your area.